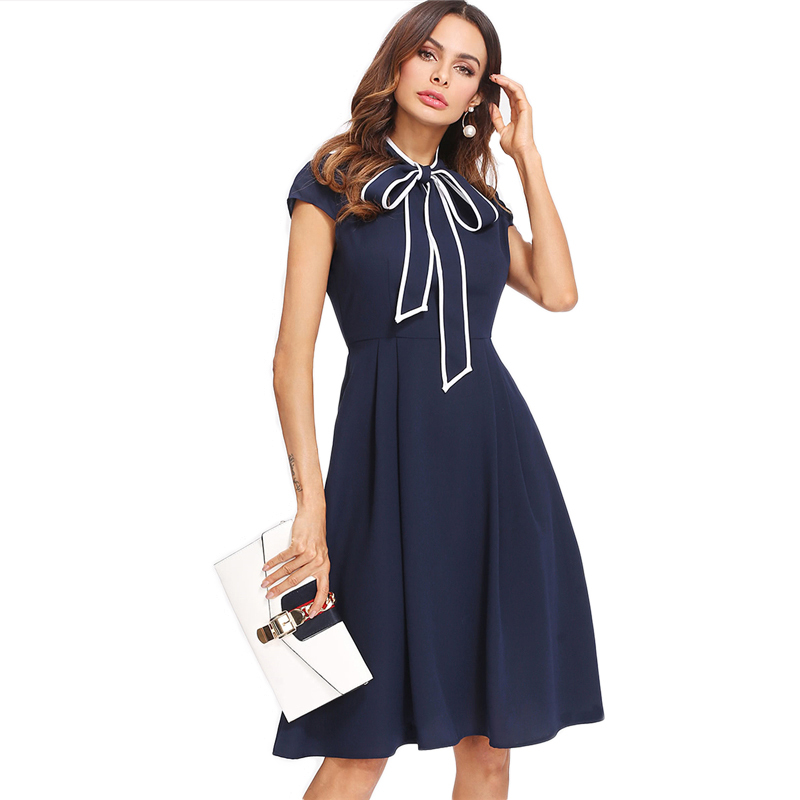 Ooze sophistication in this navy tie neck skater dress. 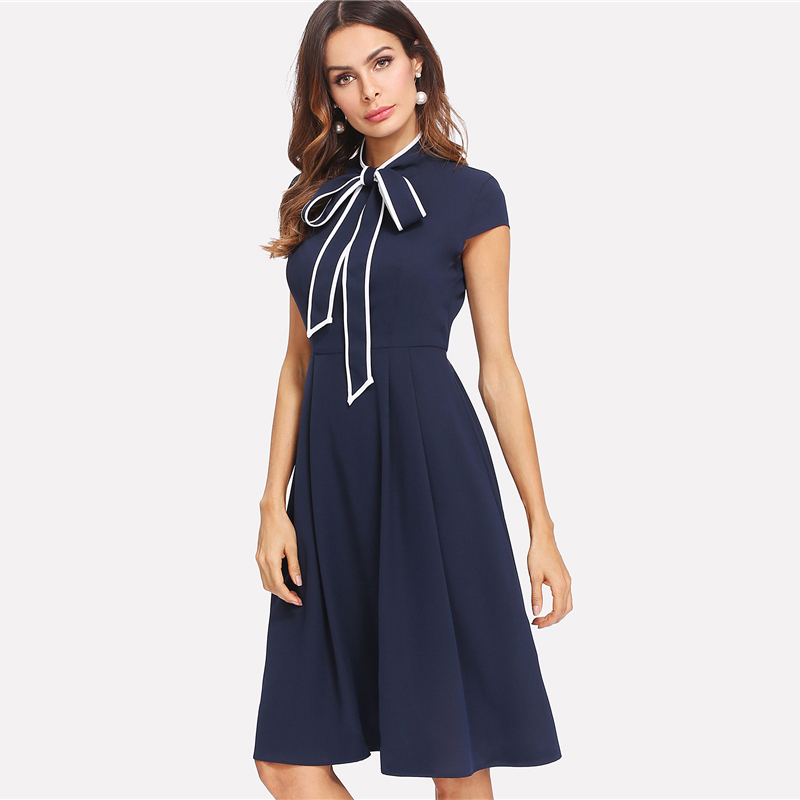 The perfect desk-to-dinner frock, it has a cute bow tie collar which adds a girly touch. A timeless choice for your wardrobe, you can wear it year after year. Materials: Polyester and Cotton.